Publisher’s Weekly reported: “Taking on the conventional Anglo-centrism of American history, this superb survey offers a different way of looking at the nation’s past. 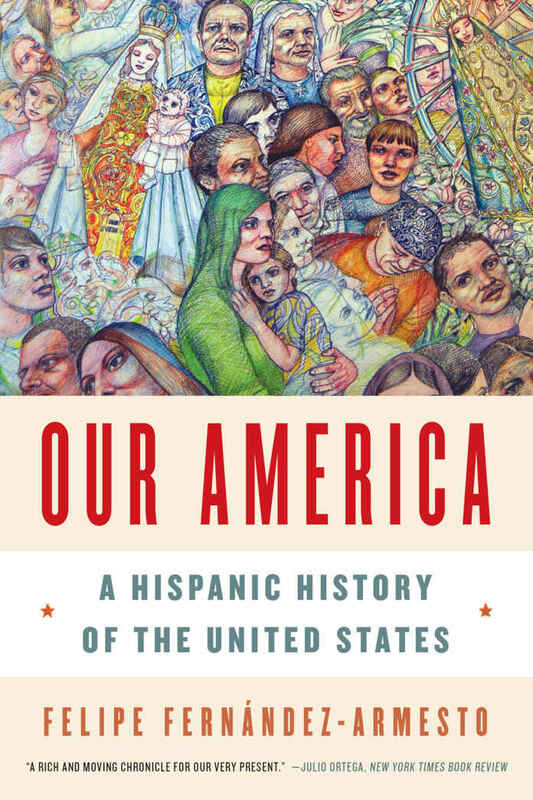 Fernandez-Armesto brilliantly reveals the U.S.’s deep roots in Spanish and Hispanic culture and aspirations. With convincing arguments and deftly told stories, he shows how Spain and Hispanics have influenced American history from well before the British arrived. Likely to be controversial, he makes a strong case for the 20th-century being America’s ‘second Hispanic colonization’ and argues that the United States is-and has to be-a Latin American country.” You may disagree, but you are guaranteed to think about the thesis! Along the way, readers will also learn more than a few surprises – like who the real Zorro may have been! Our America is certain to provoke a spirited conversation! For those who like to read ahead: the Thursday, February 16, book will be The Silk Roads: A New History of the World by Peter Frankopan. Thank you to Peggy McLaughlin for so ably steering our discussion – and journey – From Rome to Hadrian’s Wall. Despite the cold, miserable weather, eight intrepid readers joined together for our journey into the past. Peggy made the trip more than worthwhile. We hope to see many more of our members on January 19! Start the New Year with renewed dedication to the AIA Archaeology Book Club. You’ll be happy you did. We continue to bring the past back into the present, helping to keep awe and imagination a steady part of our sustenance.